Our terrace cottages consists of two terrace cottages each consisting of a single story and single room. 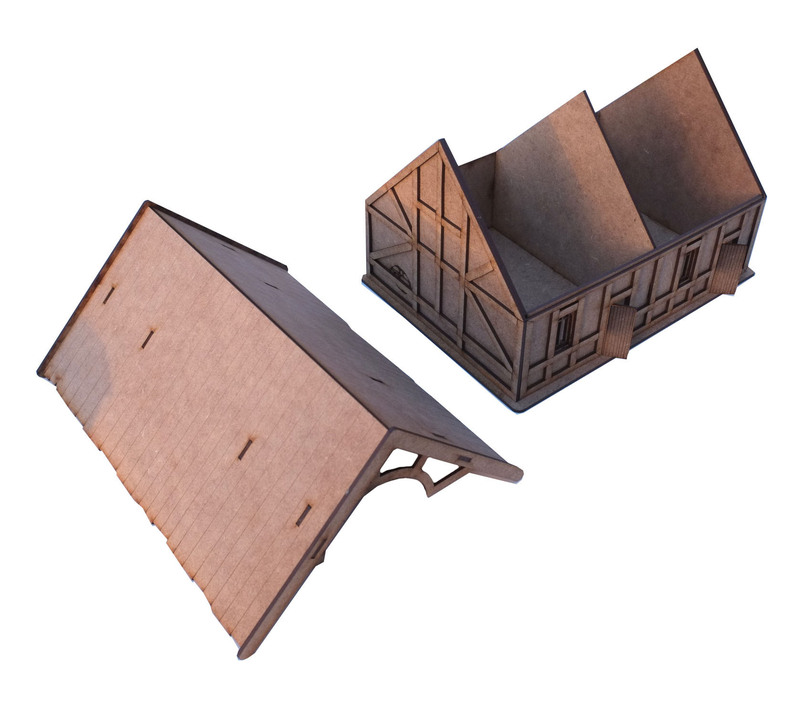 The cottages have a removable roof. Details include engraved wooden doors, engraved exposed brickwork and timber frame cladding. 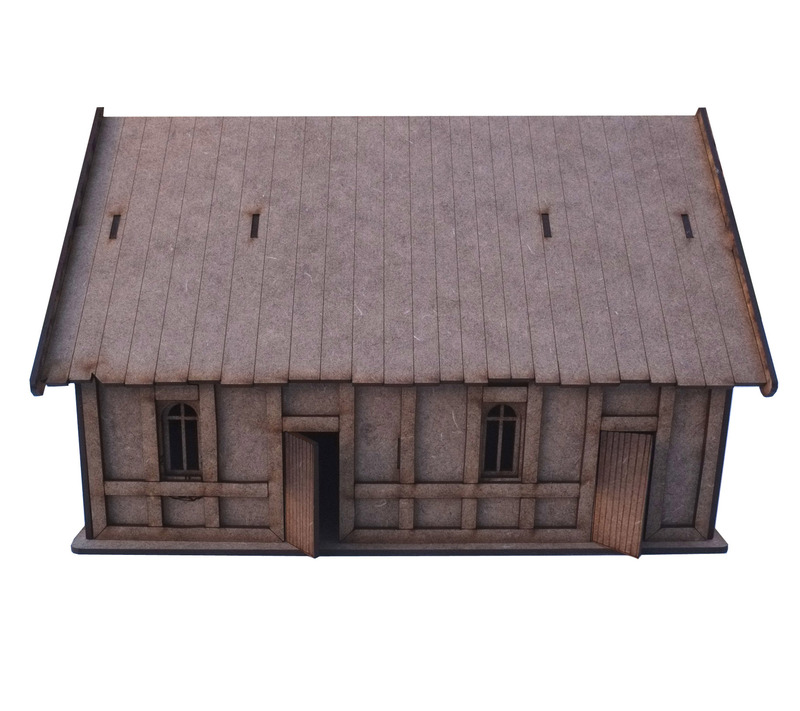 The cottages measure 230mm x 165mm x 140mm high. The kits comes unassembled and unpainted.